Questions about Kichler Lighting 9867AGZ? 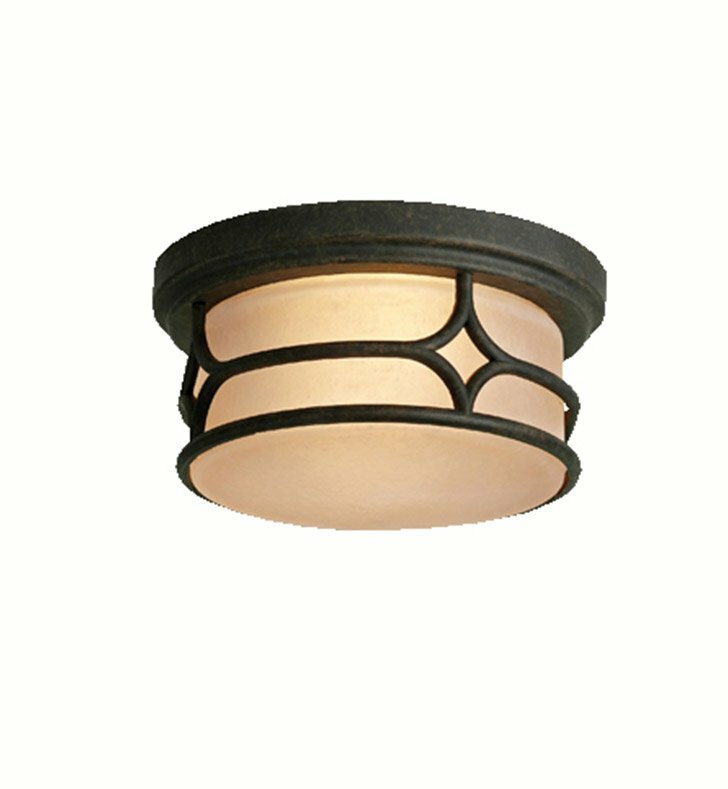 With its clean styling and classic lines, this 2 light flush mount from the Chicago collection offers an aura of mystery and elegance. Olde-world charm is paired with updated design elements so that this piece can complement any contemporary home. A rich Aged Bronze finish provides an antique, weathered look and the Textured Linen Seedy Glass enhances traditional style to create a romantic atmosphere and eye-catching accent. Dimensions: H 6" x W 12"